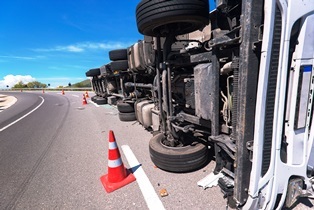 Being involved in a serious truck accident can be an extremely traumatic experience for people, who are often left feeling shaken, disoriented, and confused. While this is understandable, the truth is even a seemingly small misstep in the moments after an accident—or in the days and weeks that follow—can put a crash victim's ability to collect a fair financial recovery in jeopardy. Apologizing or admitting fault. Polite apologies are a standard part of the social contract. We're programmed to apologize when we've inconvenienced or worse, hurt someone. Under those criteria, a car accident might seem to warrant an apology. Resist the urge, as even a nebulous apology for the situation could be construed as accepting fault for the crash. Negotiating directly with the insurance company. An insurance adjuster has one job: to protect their company's bottom line. They often use an array of unfair tactics, including stalling, bombarding victims with constant requests for information, and twisting their statements to use against them—all to minimize the company's financial obligation. Don't provide the insurance company with a recorded statement, and ask them to direct all communication to your attorney. Delaying medical assessment and/or treatment. Seeking immediate medical attention after a truck accident is imperative, even if you don't feel seriously injured. Not only is it important to get the incident on record with a doctor, but doctors who frequently deal with accident victims are trained to spot injuries the victims themselves might miss due to surging fight-or-flight hormones like adrenaline. Also, should you suffer from late-appearing injuries, a doctor can note in your chart they were caused by the accident for which you were previously seen. Posting on social media. Insurance adjusters and defense attorneys comb through your social media accounts, looking for evidence that you're not as injured as you claim. Don't let them misconstrue innocent posts in an attempt to discredit you. Avoid posting on social media until your case is resolved, and ask your friends and family to refrain from posting about you as well. Waiting to contact an attorney. Every second you delay contacting an attorney is another chance an insurance company or defense team has to try to pick you apart. An experienced personal injury attorney can help you understand your legal rights and options. If you were injured in a truck accident that wasn't your fault, you know just how much is at stake. Don't leave the outcome of your case to chance. Let the knowledgeable and skilled attorneys with Van Sant Law guide you through each and every step of the personal injury process, helping you avoid costly pitfalls. Want to know how we can assist you? Contact us today to schedule a free initial case consultation.